The Uruguayan striker pulled a muscle in his right thigh this Thursday in training. He will be out for around 15 days. 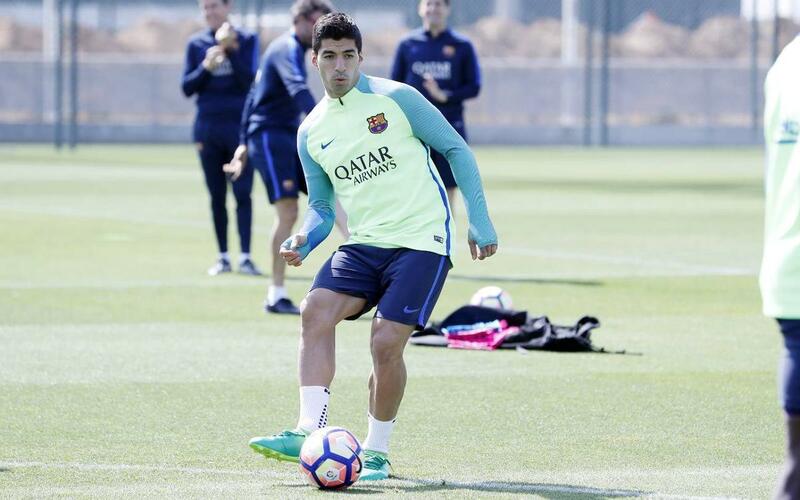 During Thursday's training session the first team player Luis Suárez pulled a hamstring muscle in his right leg. The player is expected to out of action for around 15 days. The Uruguayan striker was already set to miss the Copa del Rey final on Saturday due to suspension after being sent off in the second leg of the semi-final against Atlético Madrid at Camp Nou. Luis Suárez ends the season with 37 goals in 51 games in all competitions. In the league he was second top scorer with 29 goals, only behind his team mate Leo Messi.